We know you're not travelling light. Let us guess: you're moving house? You've got some serious DIY kit to haul? Or you're chore-free ... and going surfing. Or biking. Perhaps you're in a band? Why rent a van with us? We go the extra mile to provide quality vans and first-rate service at a great-value price. We have van-rental stations all across the country and they stock vans to fit all requirements. No van will be over a year old. All vans will be air-conditioned and fitted with Bluetooth, rear-parking sensors and fold-in wing mirrors. If you'd like to talk to us about your van rental needs, call us on 0808 284 1111. Looking to rent a van for your business? This page will show you how. 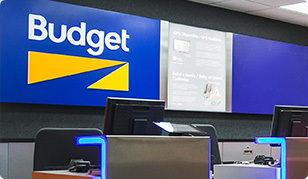 For fast, reliable UK van hire ... go Budget. Do you have the van I need? 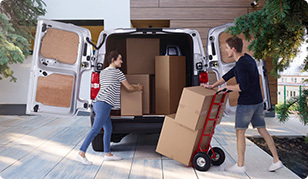 Whether you're relocating, or just going on a shopping spree, we’ve got the right van for you. I'm moving home - any advice? Explore top tips for a stress-free move with professional declutterer Vicky Silverthorn. Where can I rent a van? We've got rental locations in towns and cities across Britain, so we'll never be far away. Grab yourself a great deal on a Budget rental van. Don't miss out on any of our latest offers.